Ironically, you’d have to have been living in a cave to not be somewhat familiar with the paleo diet. It was massively popular in 2019, and it doesn’t appear to be losing any steam as we start 2019. The diet that encourages eating like our ancestors has become a major player in the health and fitness industry, sparking interest in many other similar diets. One such program is Whole30. In fact, the two are often presented together, with Whole30 acting as a way to “try” going paleo. However, there are some small, yet significant differences between the two that can derail your diet if you’re not careful. There’s no denying these diets are similar. To help you pick the right one for you, we’re breaking down what each diet is, as well as their similarities and differences. The paleo diet has been around since the 1970s (arguably since the stone age), when it was first introduced by Walter L. Voegtlin, author of “The Stone Age Diet.” Since then, it has been revised multiple times by an assortment of authors and researchers. Through all the changes, the emphasis remained the same: eat clean, and avoid anything that wouldn’t have been available to early man. 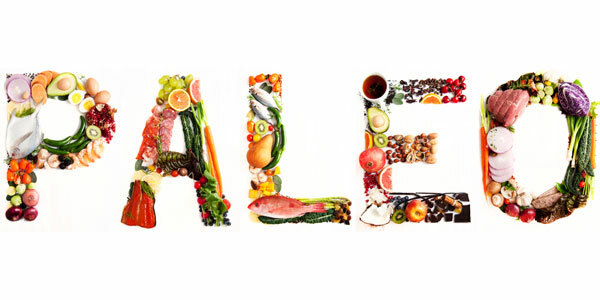 The Pegan Diet: Are you a Paleo Vegan? Generally speaking, the diet suggests only consuming foods from nature. Those who follow a paleo lifestyle often suggest that the obesity epidemic and other weight-related health issues are caused by over consumption of grains, flours and sugars. To treat these issues, those foods are eliminated from the diet entirely. Whole30 encourages eating real food, foods with few ingredients and foods with no ingredient list at all. While doing Whole30, it is not advised to step on the scale or take body measurements, as the point of the diet is not necessarily fat/weight loss, but improving overall health. There is also no cheating or “treat days” on Whole30, as that would disrupt the 30-day reset. 1. The emphasis for both is on clean eating and real food. Neither eating plan allows processed or junk foods. 2. In both, followers are asked to cut grains, dairy, alcohol and legumes from their diets. 3. Both diets are based on resolving health problems, not losing weight. However, both programs can result in weight lost. 1. 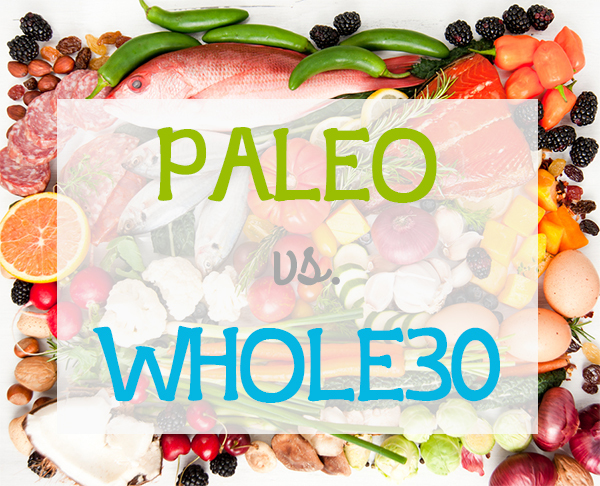 While paleo diets only rule out refined sugar, no added sugar of any kind is allowed on Whole30. 2. Whole30 strictly advises against recreating favorite baked goods or junk foods with “approved” ingredients. It is popular with the paleo diet to use foods allowed on the diet to create favorite treats. 3. Paleo advises eating only grass-fed meat, or grain-fed if the alternative is not available. This isn’t necessarily for health, but rather sustainability. Whole30 makes the recommendation, but has no such restrictions.